What Are The Recent Economic Changes In China That Can Impact Oil & Gas Supply Chains? As the new year begins and E&Ps continue to face pressure to focus on returns, operators remain on the lookout for incisive market data and forecasts that provide greater visibility into potential risks and opportunities. Utilities are in the thick of an industry transformation driven by technological and competitive forces. 2019 shows no signs of slowing down. We have highlighted 5 key trends to stay ahead of in the coming year, so utilities can continue to position themselves for success. 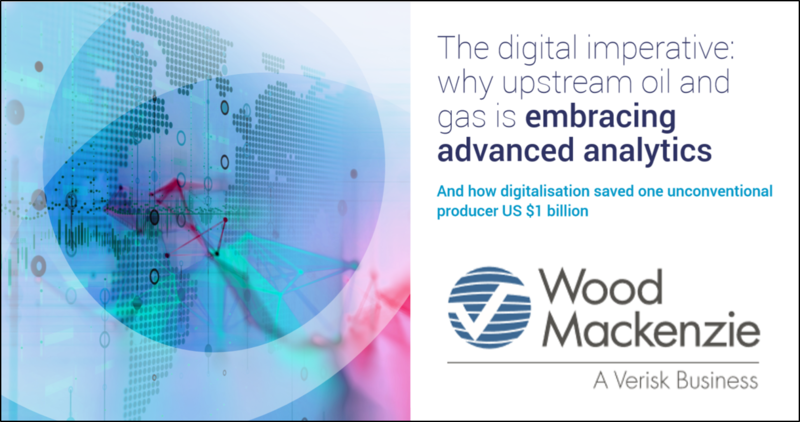 With cost volatility and a need to continue adapting to an evolving industry, Oil & Gas firms have increasingly turned to innovations such as "digitalizaton" as solutions, with many industry leaders citing it as a top of mind focus in 2018 and beyond. But what is digitalization, and how can firms think about leveraging it effectively to drive greater cost competitiveness and overall higher EBITDA? To help answer these questions, PowerAdvocate's sister company Wood Mackenzie recently published a report outlining the digitalization landscape in Oil & Gas, including a case study of how one operator drove >$1B in savings and a 25% reduction in third party costs through digitalization and big data from PowerAdvocate. Global trade continues to keep energy companies on their toes. 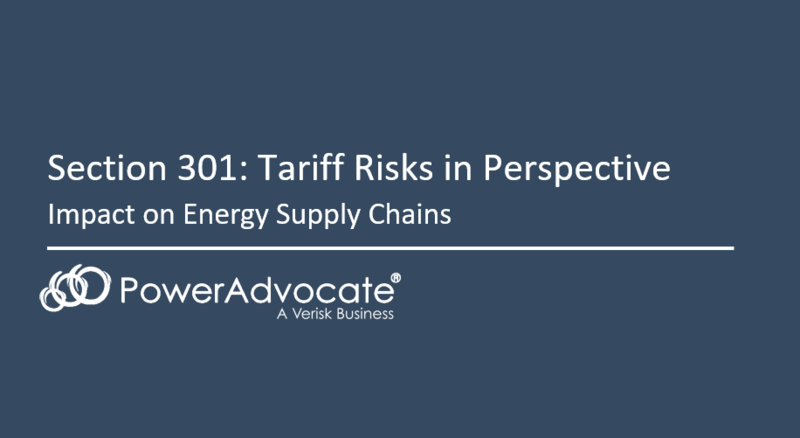 With 60-80% of business line costs coming from supplier activities, owners and operators need data and insights to better understand supply risk. With that in mind, our analysts have built out a comprehensive report summarizing the latest impacts of the 301 trade case. Higher prices are on the horizon for utility-scale solar projects due to tariffs and quotas recently approved by President Trump. This new legislation could seriously impact financial plans for solar projects, but expertise in capital projects, specifically renewable projects, can help utilities, EPCs, and developers mitigate these costs and prepare for future changes. Why are the rules changing? In September, the International Trade Commission (ITC) determined that U.S. solar manufactures experienced significant injury due to imports of crystalline silicon photovoltaic (CSPV) solar cells and modules. This investigation stems from the United States’ Global Safeguard law, where an industry representative may petition the ITC to determine if imports are causing “serious injury” and recommend remedies. The petition was filed by the recently bankrupted Suniva and later joined by SolarWorld. On January 22, the Trump Administration followed through with the recommendations from the ITC and imposed a four-year solar import tariff that will start at 30 percent in the first year and gradually drop to 15 percent. This tariff will apply to all CSPV solar cells and modules that are imported into the U.S. There is a quota specifically for solar panel cells which excludes the first 2.5 GW of cells imported into the U.S. each year, but the details on how the quota will apply remain undetermined. Like the tariff, the quota will last four years. All countries are included except for Generalized System of Preferences (GSP) beneficiary countries, which account for less than three percent of total imports. In the midst of $30 oil, no savings opportunity should be overlooked. Even still, with so many categories of spend among a multitude of suppliers to consider, it's difficult to prioritize, and even more difficult to find unexpected areas of savings. 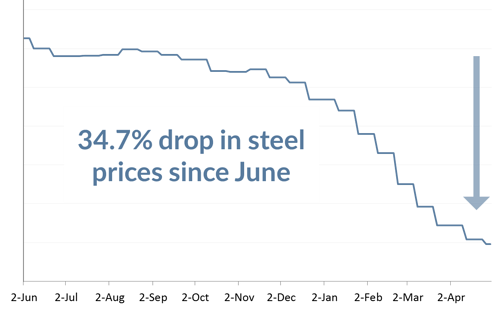 The historic drop in steel prices continues. Leading the pack is hot-rolled coil, down almost 35% since last year. We looked at over $50 Billion dollars of sourceable, North American Utility spend in 2014 to see what the top steel dependent categories were. Below are the top 10 ranked by steel exposure. Data requirements: What data do you need access to? Steps of the analysis: What are the steps to follow in running the analysis? Suggestions on execution: How have we seen other companies actually execute and realize the savings opportunities uncovered by the analysis? In our last post, we covered price variance analysis, and how it allows E&P companies to recognize huge opportunities for price standardization. This post – the 3rd in our Smart Savings Series – covers a different type of internal benchmarking: Supplier Efficiency Analysis. Firms that can identify and minimize service providers’ inefficiencies, as well as their own inefficiencies, typically achieve an additional 5-10% savings across oilfield service (OFS) items like “Rig Operations”. 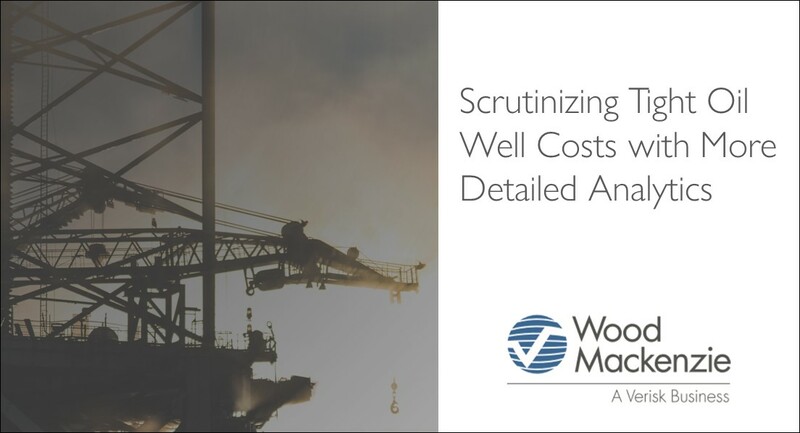 To put that number in perspective, 40% of a typical E&P firm’s spend is on OFS, meaning this analysis can help you achieve enterprise-wide savings of 2-4%, which amounts to $20 - $40 MM of annual savings for each $1 B you spend each year.